 As I was preparing to launch Kauai Retreats, a dear friend suggested I consider including my spiritual bio, not just my professional one. I cringed. Within me there has always been a yearning to experience the Divine. The yearning began early and was fueled in high school by my English teacher, Mrs Cairns. She introduced me to Ralph Waldo Emerson and the Transcendentalists, reaching into the part of me that for as long as I can remember has sought solitude and deep communion in the outdoors, feeling most alive and present when walking along a stream bank or sitting under a tree intrinsically aware of the divinity of all that is. I found a kindred sense of friendship in Emerson’s words as we both have deep reverence for nature and going off the beaten path. I would take my battered copy of Emerson’s essay on Self Reliance on every journey and couldn’t get enough of the wisdom emanating from his Divine words. His writing impacted me greatly and several quotes still circle in my head. These words offered me reassurance regarding my own non-conformity, since other than my wanderings in nature, I was generally the class clown and drama geek, singing, writing plays, and creating characters of all sorts. Simultaneously though, I was also president of the inter-church youth group. I would organize weekend retreats, create itineraries and make sure we always had an inappropriate talent show finale starring me, of course. So obviously, both reverent and irreverent live within me! I feel all practices for me have been a listening practice - in life, in writing, in performance, in teaching. I try to find the ways to truly listen for the “right word” within me and hopefully help others to hear their own right words. Thich Nhaat Han calls it Deep Listening. I think there’s no greater gift we can offer each other then to listen with open hearts and minds. This practice for me never ends. It is this culmination of listening in myself that drives me to Kauai. I see in Kauai a way of bringing all of myself to the table, sharing it, and creating retreats that would allow everyone to do the same. I want to experience the self-realization and divine romance of spirit and nature - with my own inappropriate tendencies included - and I want the same for you, too.